This fabulous rack is a single side rack. 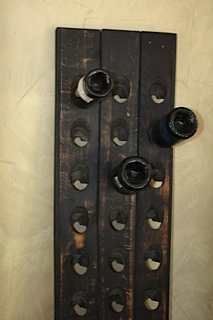 It is ready to hold up to 3o bottles of your favorite wines. The rack is solid oak. Colors and markings may vary slightly As pictured with hand rubbed wax applied. Imported from the caves of France.